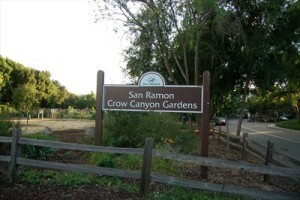 San Ramon, California is a bustling city with many options of employment. The city is home to several top companies including Chevron and AT&T as well outdoor facilities such as the Forest Home Farms and the Las Trampas Regional Wilderness. In the area, residents have found that the summers are very dry and hot while the winters are very wet and cold. With total opposite climates during the different parts of the year, it is very important for home owners to have access to the best HVAC companies. At ACS Air Conditioning Systems, we work hard to make sure that every San Ramon resident is comfortable in their home, no matter the season. One option we provide our customers is Heating servicing. We have a full team of technicians who are ready to provide repairs, maintenance and installation service in your home. Each of our technicians is equipped and skilled to handle any make or model of heating unit. We work hard so your home remains warm and toasty throughout the winter season. Our repair and maintenance service is available for your existing heating unit while our installation services are perfect for home owners looking to install a new unit in the home. We also offer residents comprehensive Air Conditioning service options. Our team is equally equipped to handle your AC unit needs and we work quickly and efficiently to have your home cool during the hot summer months. We offer the same great service options for your air conditioning system and we will offer nothing but the best service for your home. If you are in need of a heating or air conditioning service, please do not hesitate to contact us today. We have representatives standing by, ready to assist you with information about our service options or to schedule an appointment for service.